Home/Featured/OUT-NYC Owner Mati Weiderpass Kicked Out Of Fire Island Bar Sip-n-Twirl‏. But Was It A Set-Up? Mati Weiderpass, co-owner of the “gay-friendly“ and now struggling OUT NYC Hotel who is facing massive backlash for hosting a dinner for anti-gay GOP Presidential hopeful Ted Cruz was kicked out of the iconic Fire Island bar the Sip-n-Twirl on Sunday much to the delight and cheers of other patrons. Weiderpass was “supposedly” kicked out after he was confronted by furious patrons,and the bars owner according to the New York Post. It was at this point that that Sip-n-Twirl owner, P.J. McAteer, asked them to leave the bar and threatened to call police. When Widerpass cheers exploded within the bar. For the $10.1 million they paid, Reisner and McAteer now own a long list of properties that include: The Pavilion (rebuilt by the previous owners), the ‘High Tea’ Deck, the Botel Hotel, Rack Gym, Pines Pool & Bar, the Blue Whale Restaurant, Canteen/ Cultured Elephant Restaurant, a number of shops, two homes, and a boat (!). Was this a stunt on P.J. McAteer’s part to distance himself (and his property) from Reisner and Weiderpass so he could continue to make money? 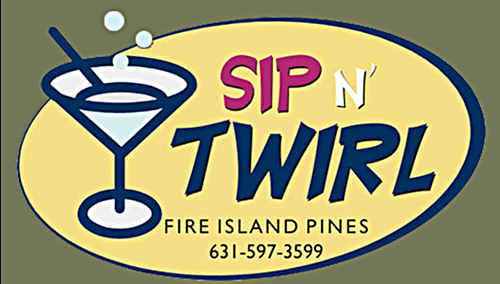 Both Boycott Fire Island Pines Establishments & Out NYC Hotel and Queer Nation NY have been actively educating gay men and women on Fire Island about Weiderpass and Reiser and have been pushing a boycott of the following businesses owned by either of them which include: Sip-N-Twirl, The Pavilion, Botel, Bistro, Blue Whale, Pines Pizza, and the Cultured Elephant. Something sure smells in the Fire Island Pines and it sure ain’t poppers. *Back2Stonewall.com has reached out to P.J. McAteer for comment. He has not responded. Meanwhile both McAteer’s own Facebook page and the Sip-n-Twirl page continue to publicize Ian Reisner owned property events. It seems like a bunch of uppity queens in competition to me. You seem like an unpopular and bitter queen to me. I’m sorry dear, In order for you to insult me, I must first value your opinion! Nice try though. Have to rely on those who know the principals, but it sure looks like a setup Need more info.